In order to keep adapting our approach to projects in the field, Antenna has provided a comprehensive range of technical training opportunities related to our expertise in the field of water and hygiene since 2016. These training sessions are designed to provide technical support for your projects. They will empower your staff members in using the WATA technology. Do you plan to launch or scale up a large project including WATA technology? Do you want to train and empower your staff to work with all the devices in the WATA range? Do you plan to set up WATA technology in a network of health centres or schools, or in rural communities? Do you just need to update your knowledge about how to use both WATA devices and the associated monitoring methods properly? We now sell a range of three training modules together with three additional and independent options. Please note that an option cannot be sold without a training module. All our training modules and options are delivered by certified trainers, who have been previously trained by the team of Antenna engineers based in Geneva. MINI-WATA AND WATA-STANDARD : a two-day training session on managing the use of small WATA devices within the context of autonomous sodium hypochlorite production. WATA-PLUS, MIDI-WATA AND MAXI-WATA : a three-day training session on managing the use of large WATA devices within the context of autonomous sodium hypochlorite production. 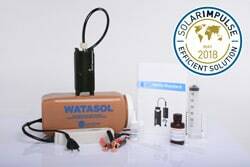 FULL RANGE OF WATA DEVICES: a four-day training session on managing the use of the full range of WATA devices within the context of autonomous sodium hypochlorite production. Stabilising the sodium hypochlorite solution: an additional one-day training session, useful for ensuring long-term use of sodium hypochlorite. This option is recommended for selling and storing the sodium hypochlorite produced by WATA devices. 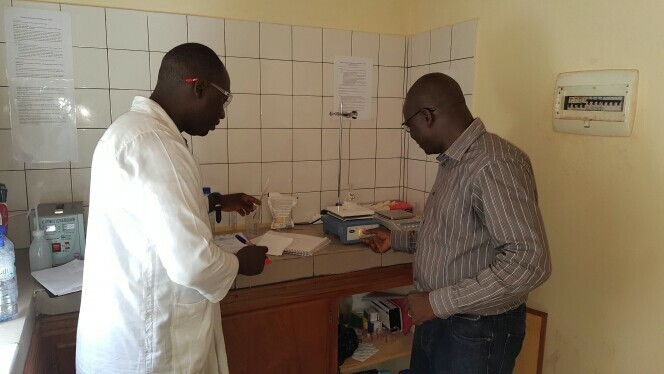 Active chlorine titration: An additional 1-day training session useful to precisely measure the concentration of sodium hypochlorite produced. Set-up of WATA devices: an additional one-day training session on setting up WATA devices in a specific location and briefing staff. Price may be lower if an Antenna certified trainer is based in the country where the training session will take place.